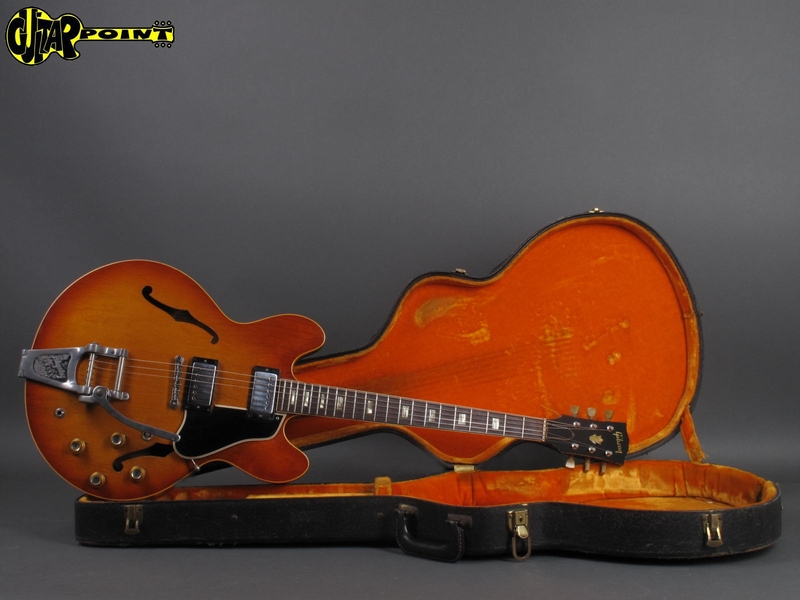 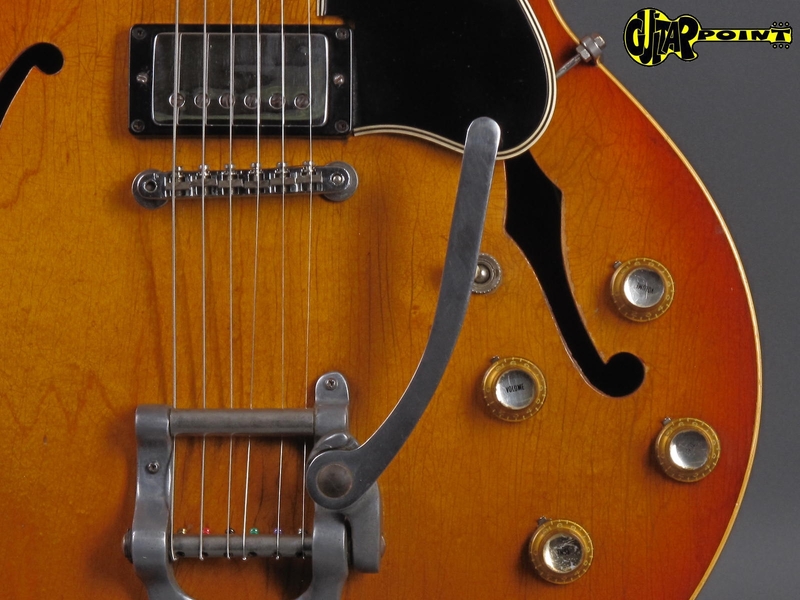 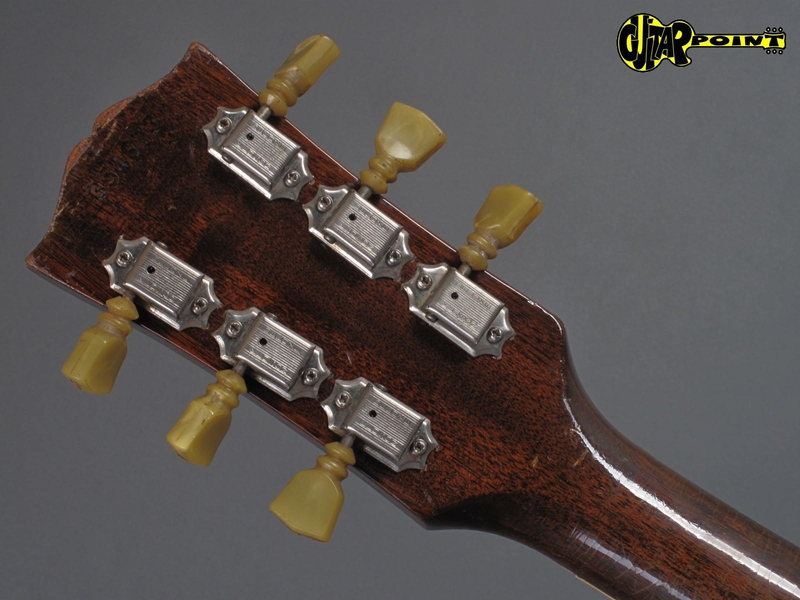 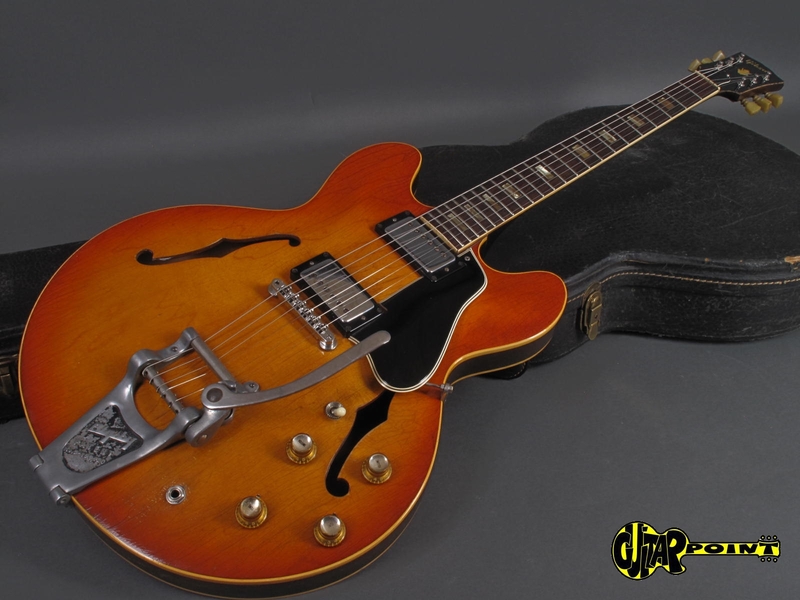 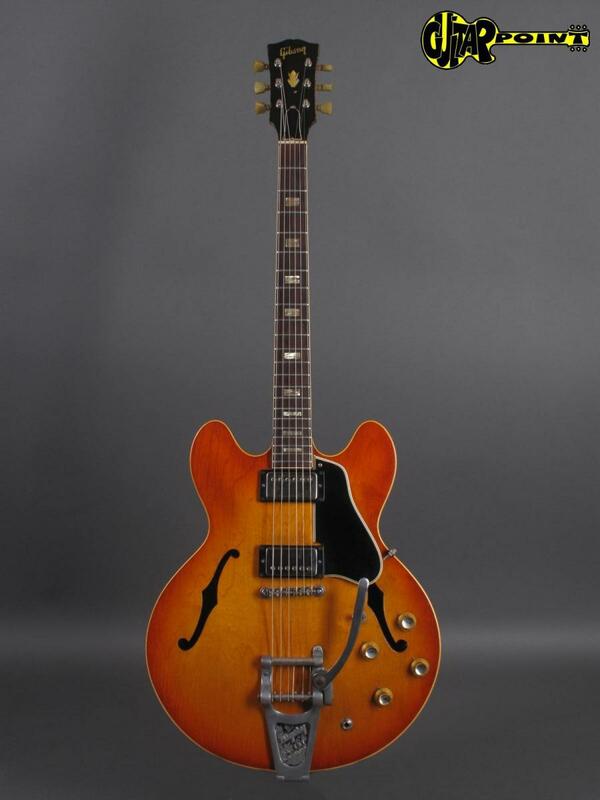 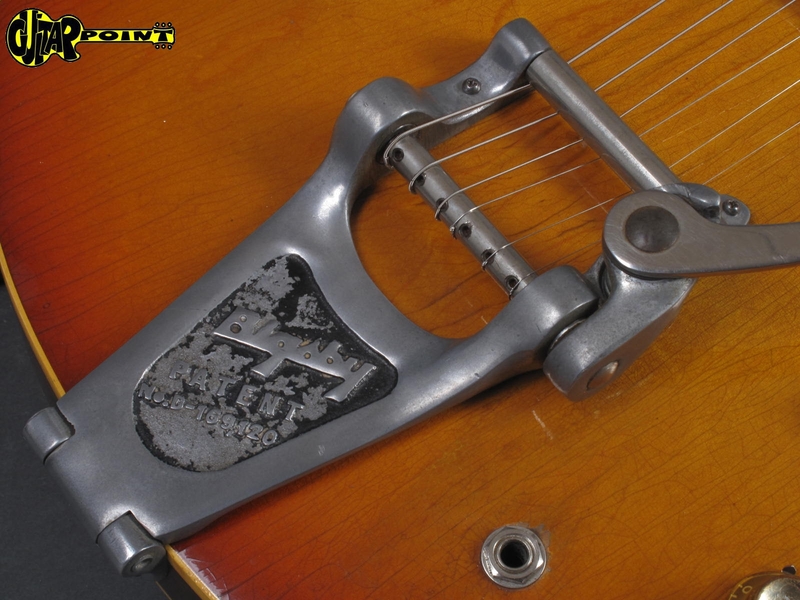 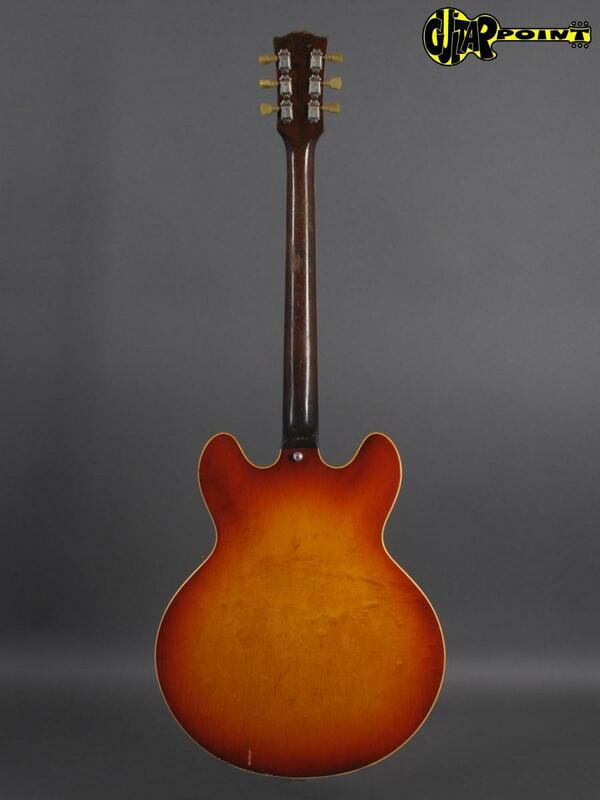 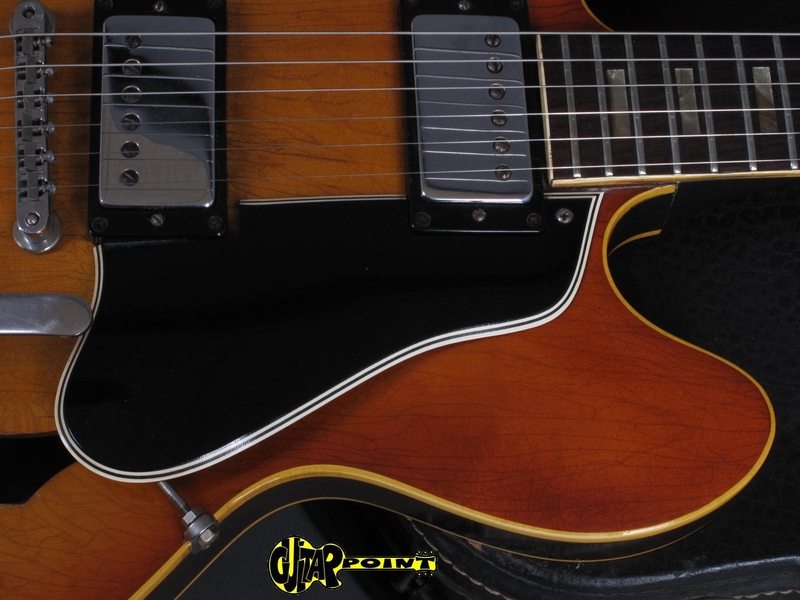 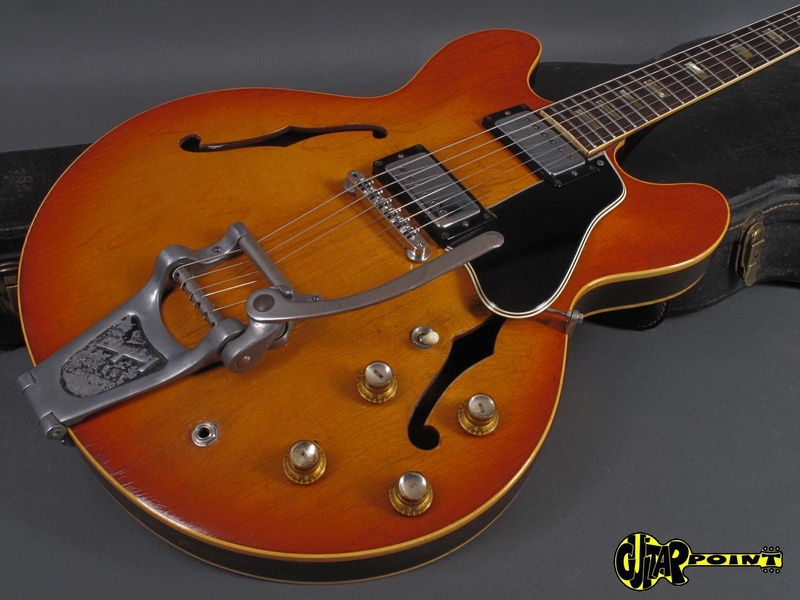 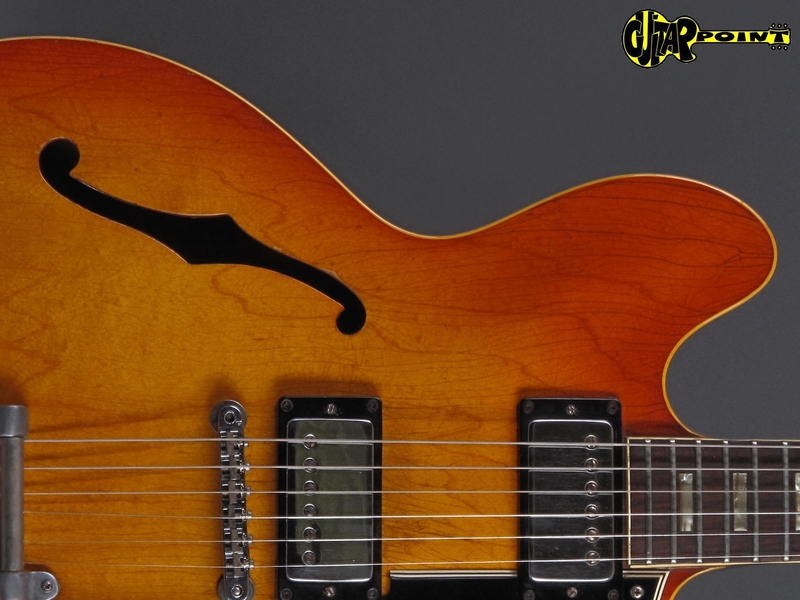 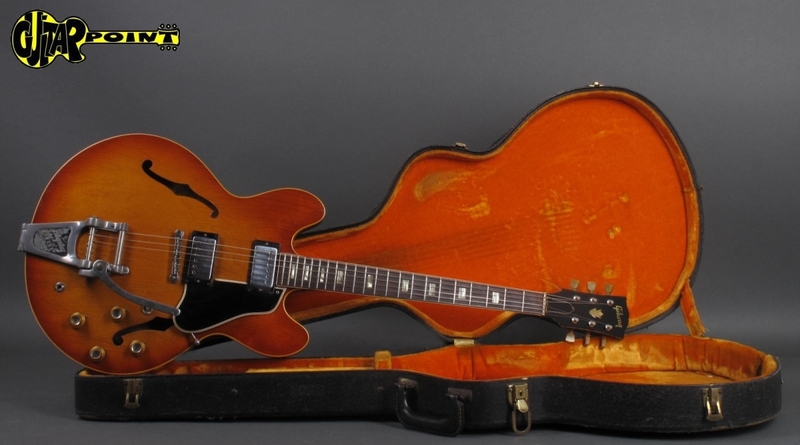 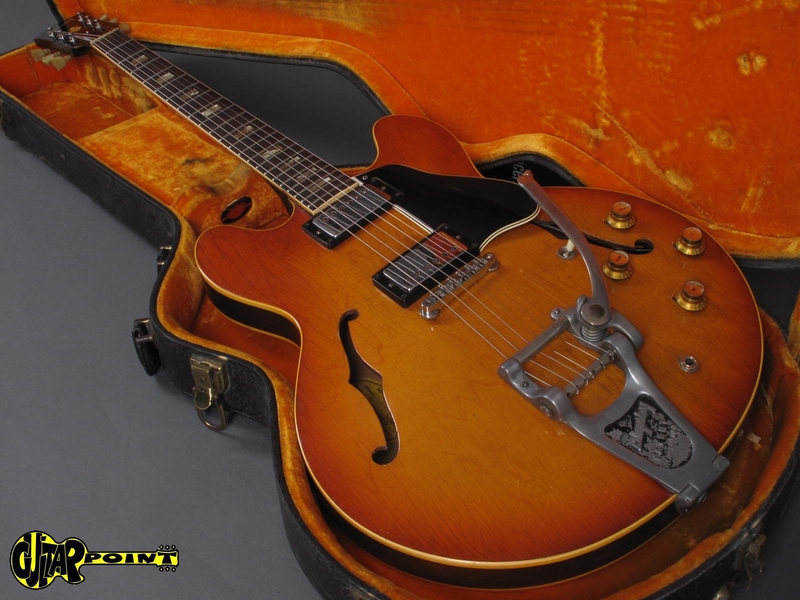 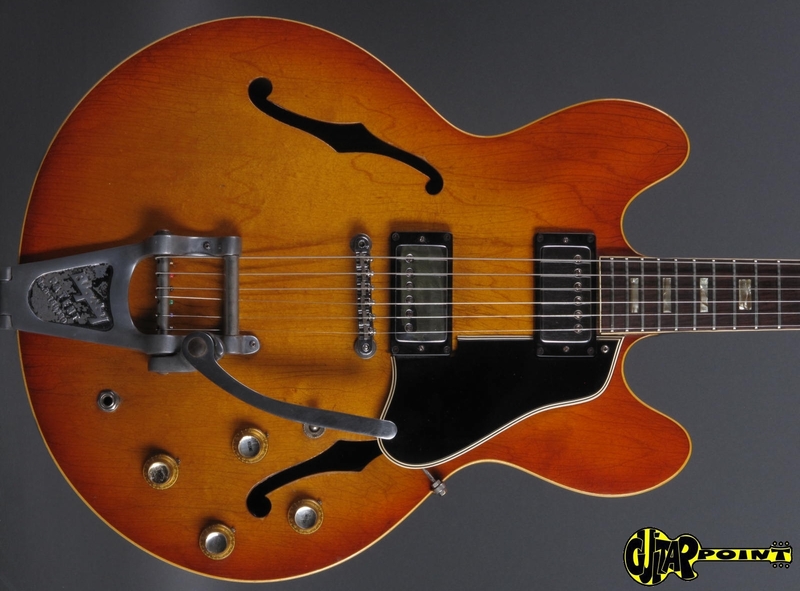 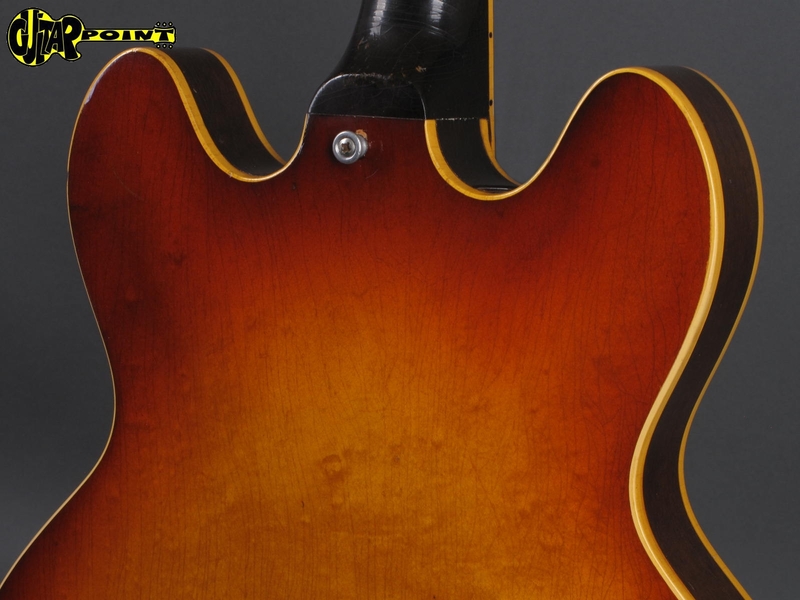 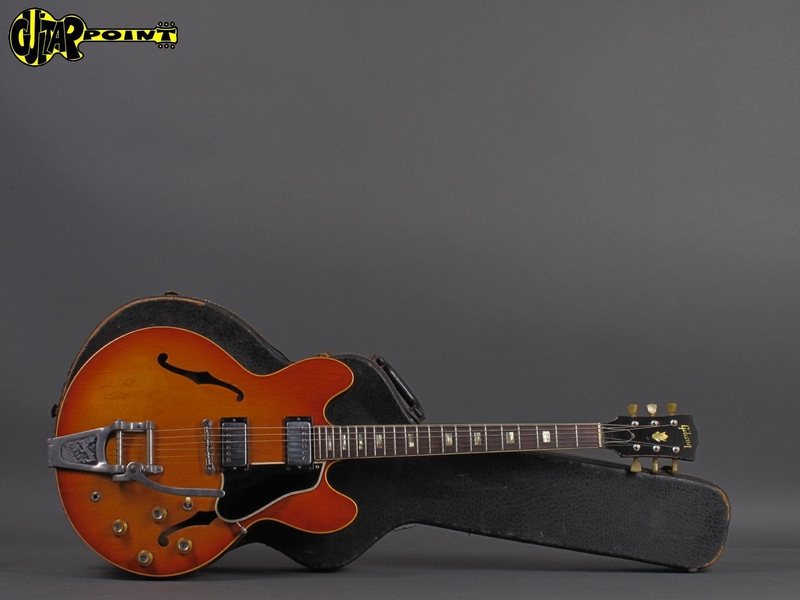 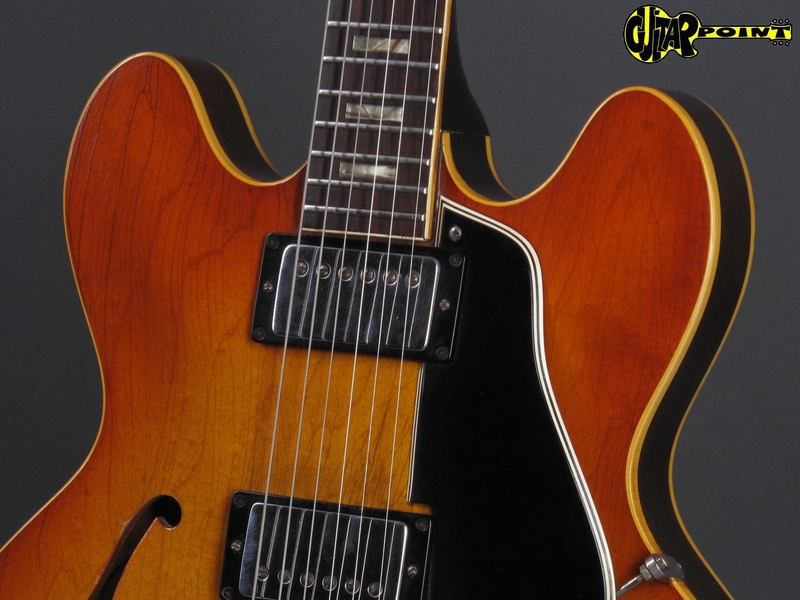 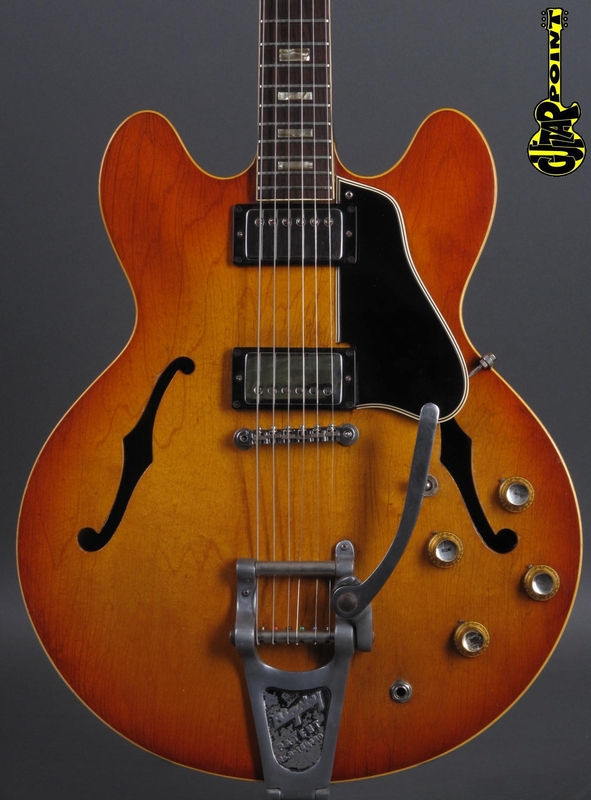 Beautiful 1965 Gibson ES-335TD with rare factory Bigsby, all original with a nice faded "Icetea Sunburst" finish and lots of weatherchecking which give that guitar a cool vintage look. 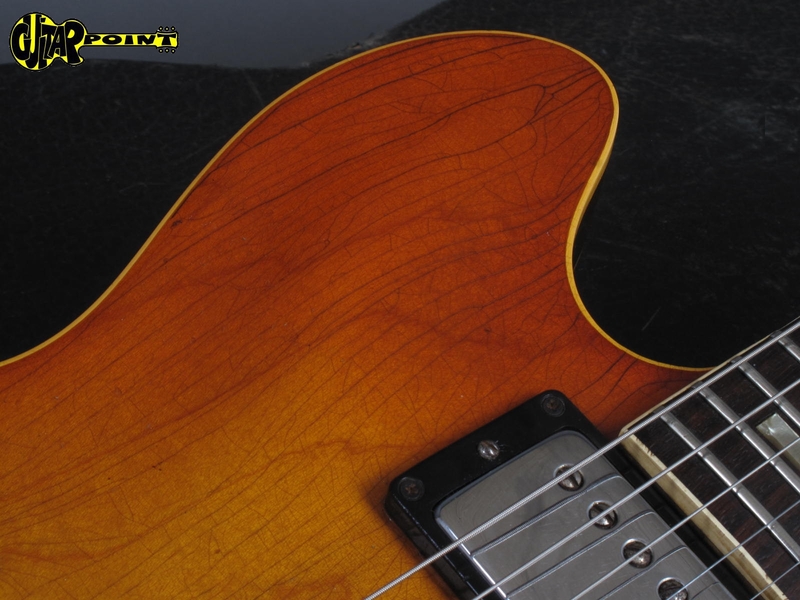 The guitar has been played, but is well taken care of and has never been converted or modified. 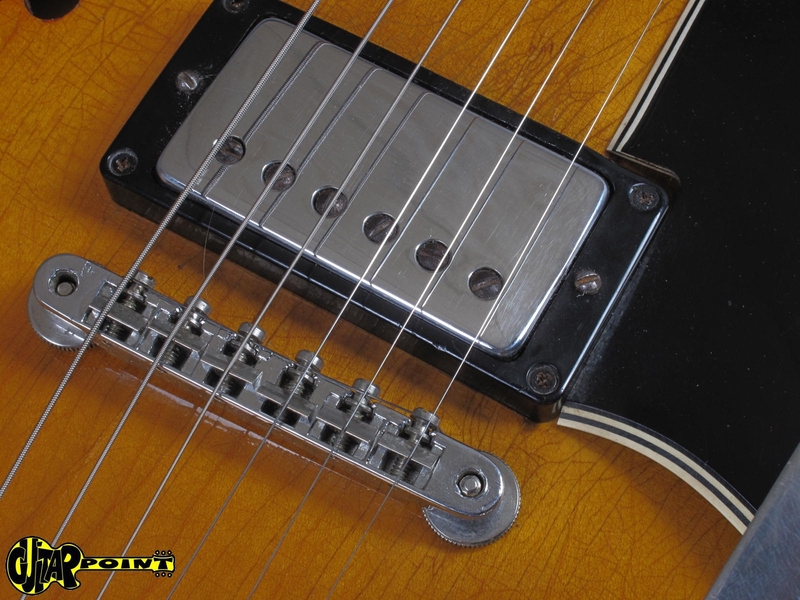 The electronic is all original with untouched solderjoints, all pots are dated 137.65.2X = 1965, both pickups are original Gibson "Pat.Nr. 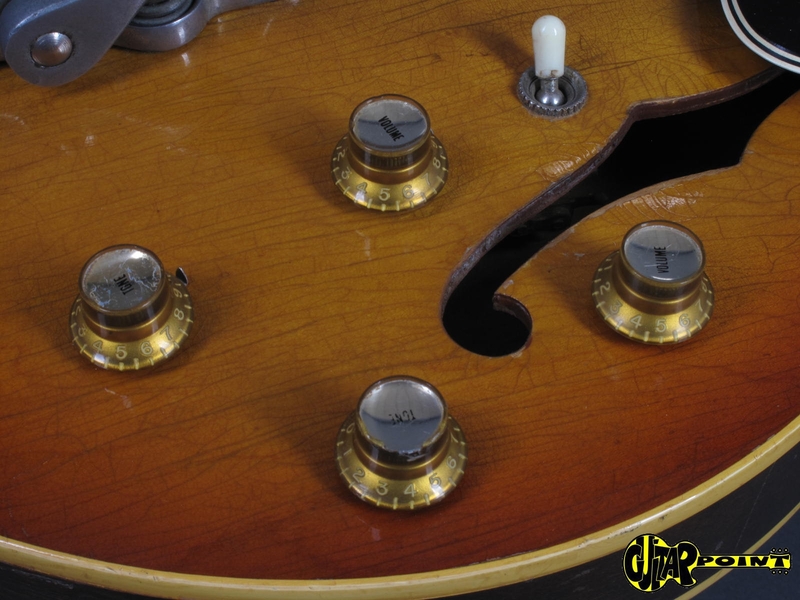 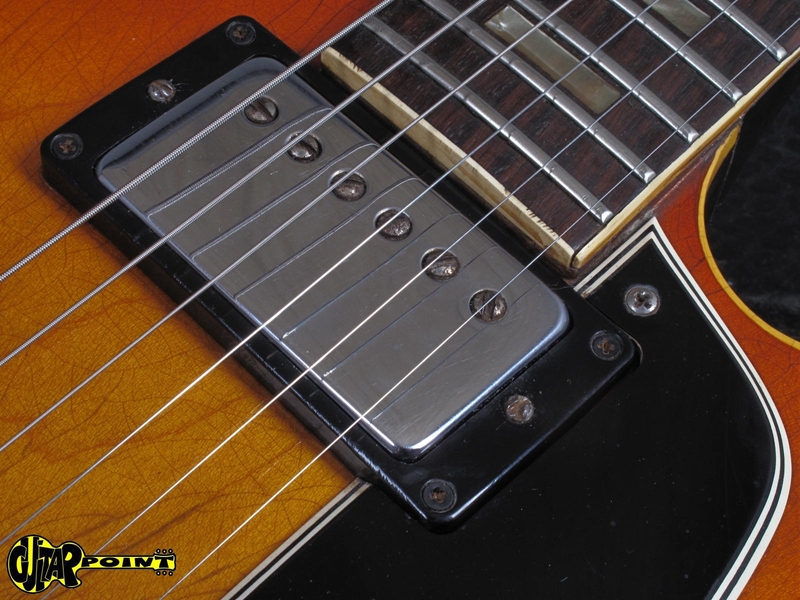 - sticker" pickups with well balanced outouts of 7,96 K-Ohm and 8,22 K-Ohm. 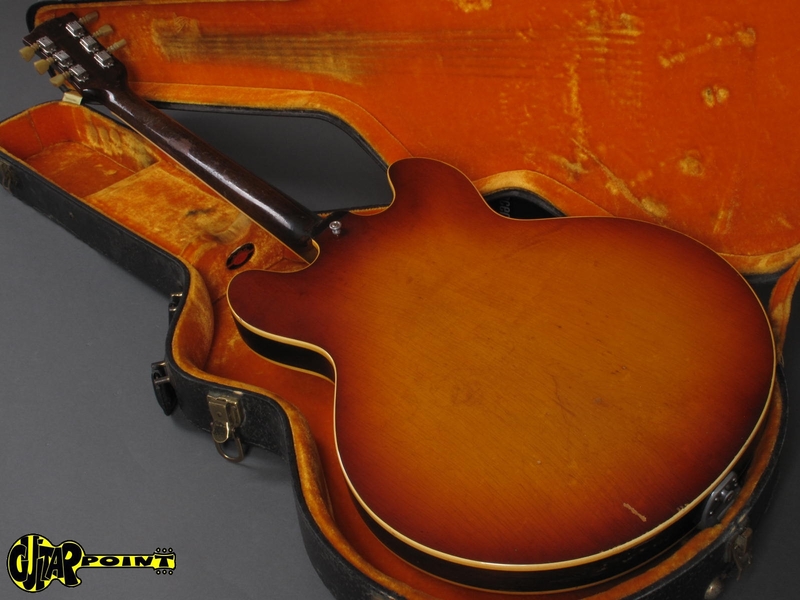 Comes in its original black Lifton case with yellow lining. 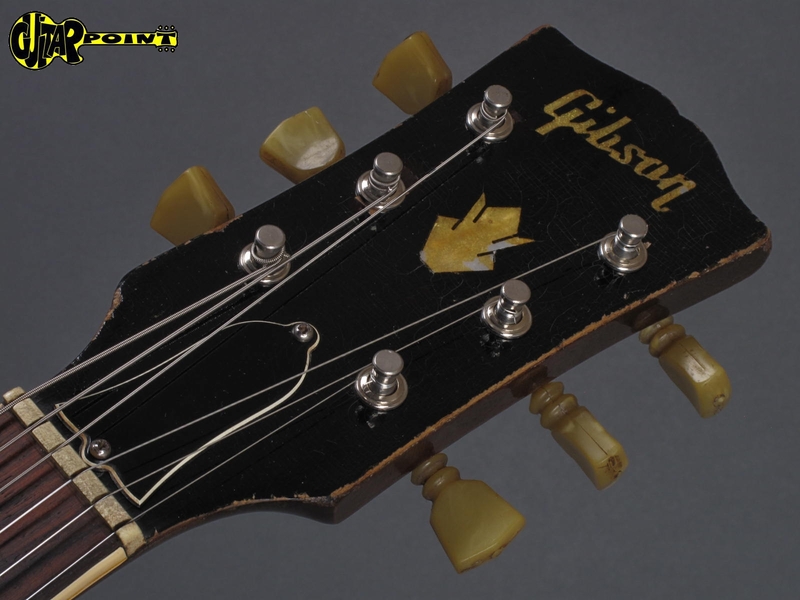 Original black Lifton case with yellow lining.